Your skeleton supports your whole body. As you age, your risk of developing osteoporosis increases. 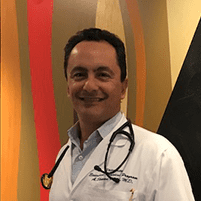 Board-certified internist Shawn Veiseh, MD, offers bone density screenings at his private practice, University Executive Physical Program, in the Westwood neighborhood of Los Angeles. If you have a family history of osteoporosis or are over the age of 65, a bone density screening can identify your risk of bone fractures so you can take preventive measures before you have a devastating injury. Call Dr. Veiseh or schedule an appointment online today. A bone density screening is a diagnostic imaging test that produces pictures and scans of your bones, usually focusing on your lower spine and hips. The test is often referred to as DEXA (dual-energy X-ray absorptiometry) and it uses a small, safe dose of ionizing radiation to create images of your bones. Dr. Veiseh uses bone density screenings to diagnose bone loss and osteoporosis. As you age, your body’s ability to generate new cells slows. When your bone cells aren’t replaced as quickly as they’re lost, you can develop osteoporosis. This leads to porous and brittle bones, and increased risk of severe fractures. Osteoporosis is more common in women than men, and typically develops after menopause. The condition doesn’t usually cause any noticeable symptoms, although you may experience back pain and a loss of height or stooped posture. In many cases, you might not know you have low bone density until you easily break a bone. Why do I need a bone density screening? Dr. Veiseh provides bone density screenings to diagnose osteoporosis or bone loss before you unexpectedly fracture a bone. Dr. Veiseh can prescribe biphosphate medicines to protect your bones. Once you know your bones are weakening, you can also take steps to protect yourself. You can adjust your diet to ensure you get nutrients needed to protect your bone health, including protein, calcium, and vitamin D. Getting regular exercise that combines strength training with weight-bearing and balance helps build healthy bones and slow bone loss. What should I expect during a bone density screening? Dr. Veiseh provides bone density screenings from the convenience of his office. You lie on a padded table with leg support to flatten your spine and pelvis. The doctor may reposition your feet to keep your hip bone in the best position for imaging. He then positions the DEXA scanner above your body, much like when you have a normal X-ray, so you won’t feel claustrophobic. The bone density scan only takes a couple of seconds. In some cases, Dr. Veiseh requests bone density scans of your hands and wrists. This screening is even easier. You simply flatten your hands inside a device while the images are created. The whole process takes 10-30 minutes, depending on how many parts of your body are scanned.